An internationally acclaimed knitwear designer and instructor, Carol Feller talks about her inspirations and new releases. 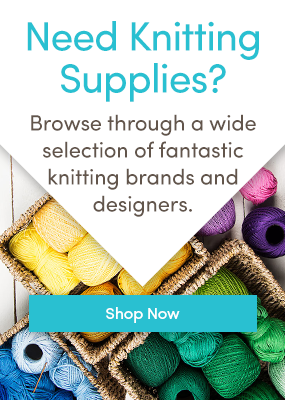 How did you learn to knit, and when? I actually don’t remember learning to knit; it feels like I’ve always known! I suspect in reality that it was a combination of school and my mother. My earliest knitting memory was from school probably at the age of 6 or 7 knitting fingerless mittens in a delightful lemon acrylic. I actually found them in my parent’s attic a few years ago and they brought back a lot of memories for me! Interestingly the love of knitting appeared to skip a generation in my house; my mother always found knitting too slow and she much preferred crochet and sewing but her mother was a fantastic knitter. In fact at one point when she was being wheeled in for an operation she made them stop so she could examine the stitch pattern in the doctor’s sweater! When did you decide to start designing, and why? Designing did not initially begin as a conscious decision. When I left school I wasn’t sure what I wanted to do so I did an art foundation course with the intention of going on the become a graphic designer. During the course I found that textile was actually what I gravitated towards and I won an award for my textile design at the end of the year. However I missed maths and science so I switched to civil engineering, specialising in structural engineering. After graduating I moved to Florida with my husband and worked for a few years as a structural engineer there. However engineering also never felt like the perfect match; I wanted both! Over the next few years I had 4 children, moved back to Ireland, ran an online natural parenting company and eventually after selling that decided to become a full time mother. That didn’t last very long – within a few months I rediscovered knitting and was immediately hooked. I swiftly moved from relearning knitting to modifying patterns and then on to designing. The first pattern that I had accepted was a knit ball for Knitty magazine, Doddy. This suddenly made me realise that I could become a designer! I set up a website, began submitting to other magazines and publishing my own patterns. For the first time in my life I had found the perfect blend between art and maths. I adore designing garments, especially cardigans; I love clothes and I’m always on the quest for the perfect sweater/dress/jeans. I spent so many years searching shops for something very specific that I could picture in my head but never find that being able to create it for scratch myself is very liberating. In my designs there are a few things that always make me happy; I like seamless deigns, slightly different construction methods (that make sense! ), simple but unique items and short rows. The cardigan Ravi is one of my favourites for all those reasons. It was designed initially as a KAL to celebrate my 150th pattern. The yoke is knit from side to side as a series of garter stitch short row wedges with a lace panel at the bottom. From here the body & sleeves are picked up and worked from the top down. The cardigan edging is finished with I-cord which is one of my favourites; it functional, clean and very professional looking. I want all of my designs to be both fun to knit and also very wearable. What was the motivation for writing your new Short Row Knits book, and how long did it take from inception to finish? I’ve always loved short rows; they are so versatile and easy to use. However when I began using them I really hated the pick up method for the standard wrap and turn. I kept messing with it until I found a way to get it to work better for me. From there I started learning as many short row methods as I could. This lead to short rows becoming one of my first in-person classes and it proved very popular. From there I did a free Craftsy mini-class that now has almost 160,000 students! Based on the popularity of short rows (and the fact that I use them in almost everything I design) it seemed like a perfect topic for my new book. I begin the initial contract negotiations with the publisher in September 2013 and by the start of 2014 I was starting on the knitting. By the summer of 2014 we were working on the photography (which was done by my very talented husband, Joseph). All of the patterns and photographs went to Potter craft by August 2014 and the book layout, copy editing and printing took the next 12 months. So from first discussion to the book being released took 2 years in total. I think Barbara Walker as a knitter is my biggest influence. To start with she compiled the wonderful stitch pattern books ‘A Treasury of Knitting patterns’ but in addition to that she has written the book ‘Knitting from the Top’. This book really helped reshape my view of knitwear design. I started thinking about how it fits together, how you could recreate shapes and thinking a little outside the box. Now the question is what kind of yarn is your favourite to work with or which is like your personality type! In terms of yarns I like: I love rustic but wearable yarns in natural fibres, and I love a huge range of green and mustard colours. I did a pattern collection, Dovestone Hills, for Baa Ram Ewe’s new yarn Dovestone Dk that was released this autumn. I think Dovestone is one of my current favourites, I felt sad to be finished with the book as I loved working with the yarn. If the yarn was more like my personality type I think it would be a much scratchier yarn that that! Love new designs? Follow us on Bloglovin’ and get inspiration delivered to your inbox. Last updated: November 20th, 2015.